Most people are surprised when I tell them I’m not a big fan of red meat. I really don’t have any specific reasoning behind this. Red meat just isn’t a food I crave on a daily or even a weekly basis. It’s more of a monthly craving, and when the craving hits, it leads me straight to a hamburger. However, in the last year or so I was diagnosed with anemia. Now I have direct doctor’s orders telling me that I absolutely HAVE to eat red meat each week to increase my iron intake, along with other iron-heavy foods such as spinach, broccoli, and beans. In an effort to increase my intake, I’ve tried to buy a pound of lean ground beef each time I’ve visited the grocery store in the last year. I’ve certainly made a lot of chili, barbeque beef pie, hamburgers, and tacos in the last year, so many that I’ve grown tired of them. Somehow though, I never seem to get sick of anything involving spaghetti sauce. So when I stumbled across a “20 minute meal” of easy meat sauce in my latest Cooking Light magazine, I immediately purchased the ingredients to make it. I was excited to have a new “red meat meal” for the week. 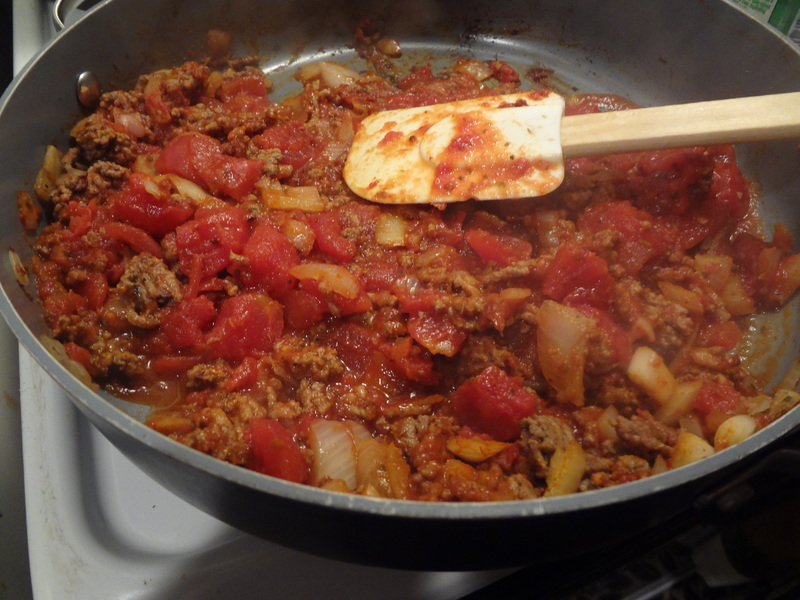 In four simple steps and in less than 20 minutes, you’ll have a delicious batch of meat sauce-you can’t beat that! 1. Heat a large skillet over medium-high heat. 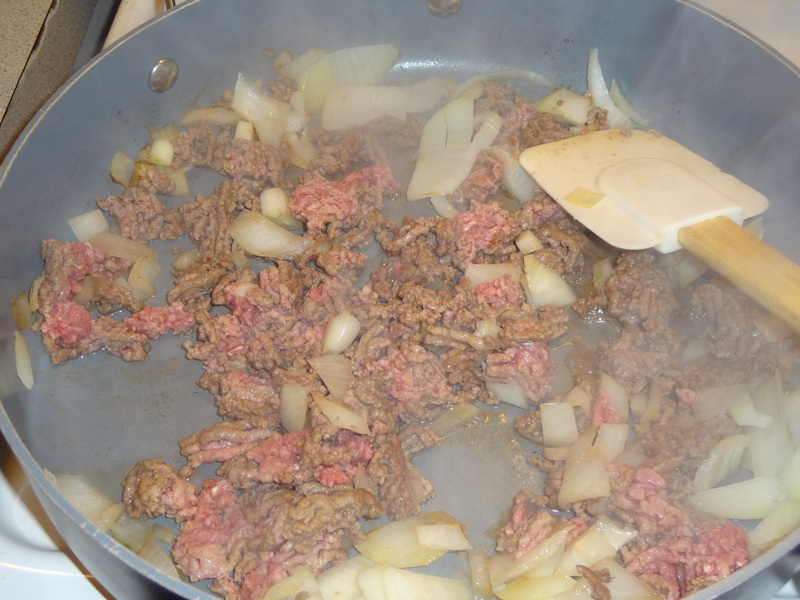 Add beef, onion, garlic, oregano, and salt; cook 5 minutes or until beef is browned, stirring to crumble. 2. 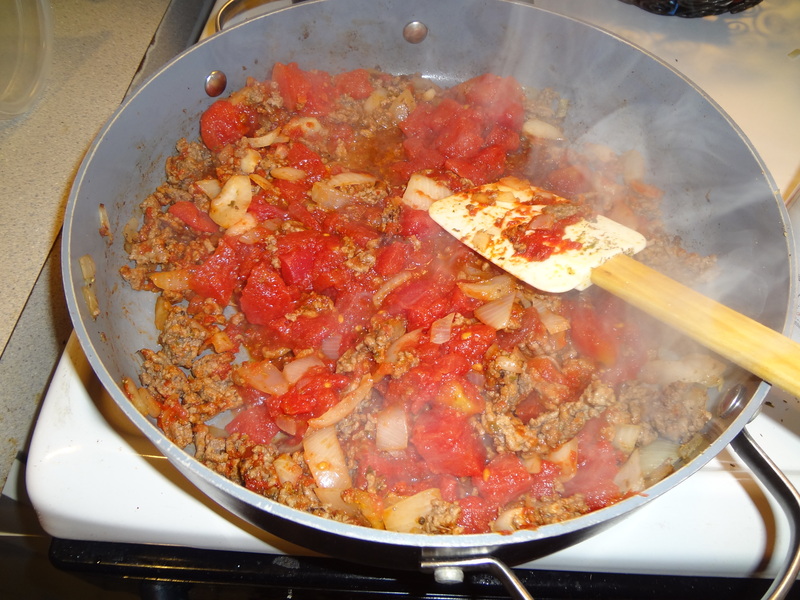 Stir in tomato paste; cook 1 minute, stirring frequently. Add tomatoes. Bring to a boil; cook 1 minute. Reduce heat to medium-low; cook 3 minutes or until thickened. 3.Serve over pasta or along side bread or sides of your choice, and top with cheese. 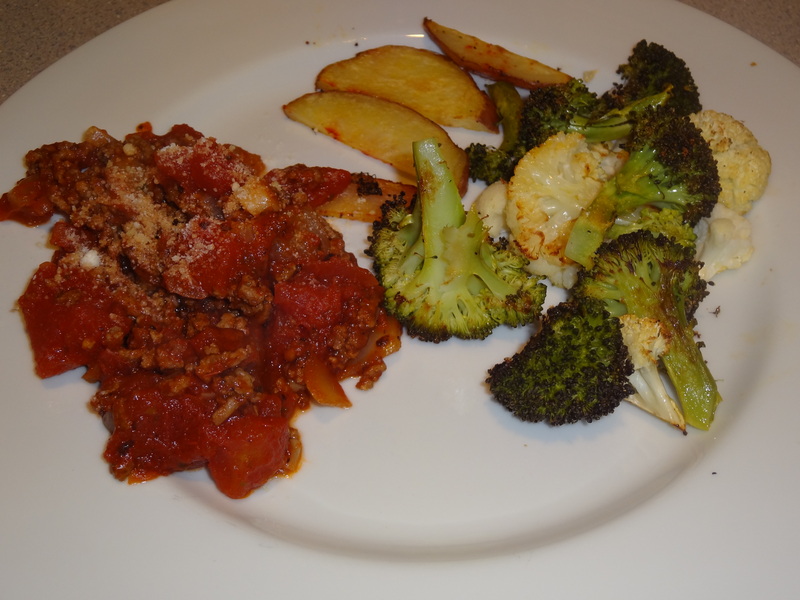 I cooked my meat sauce and ate it along side with garlic toast, roasted potatoes, and vegetables. However, the original recipe was called “linguine with easy meat sauce”, so of course you could accompany this with pasta or garlic bread; it’s up to you. How often do you crave red meat? What’s your favorite red meat meal? If I’m being completely honest, I have to say that I only enjoy a select few things about fall: pumpkin flavored coffee, perfect running weather, and crockpot dinners are at the top of my list. Go figure, 2 of my top 3 involve food…priorities people!! Anyway, I’m a creature of routine when it comes to preparing meals for my work weeks, but all routines seem to fly out the window in the summertime. I figured now is the perfect time for me to get back on track, so this past weekend, I did just that by dusting off my crockpot. To me, crockpots are a saving grace. You can basically throw a slew of ingredients in there, add broth, and all of a sudden you have a dinner ready to eat in 6 hours. Whenever I decide to use my crockpot, I typically choose a Sunday. That way, I have a meal that lasts me throughout the work week. I rarely have enough energy to cook an entire meal for myself after a 12-13 hour day at the office, so by preparing a meal on Sunday, I avoid this hurdle, and avoid the urge to order out each night—and extremely hard obstacle to overcome when you live in the city of Boston! 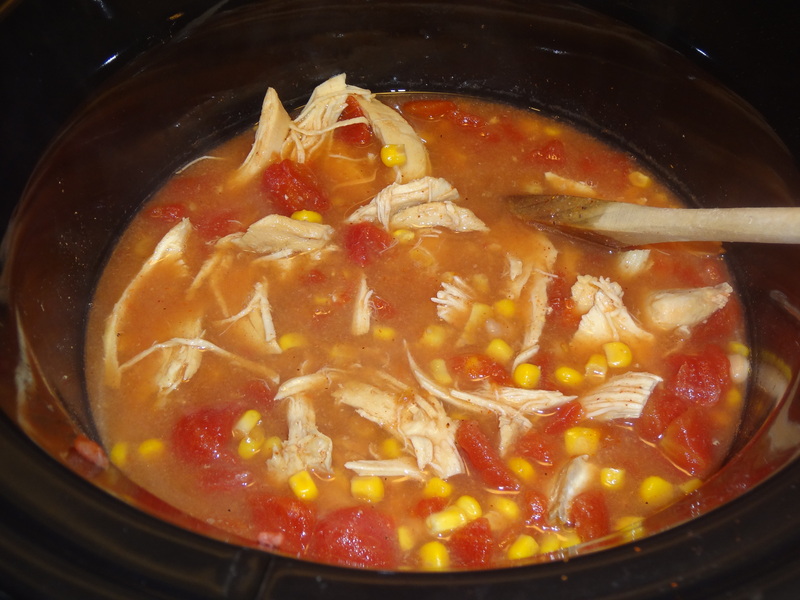 In addition to providing a simple meal solution, I find crockpot meals to be cost effective, too. 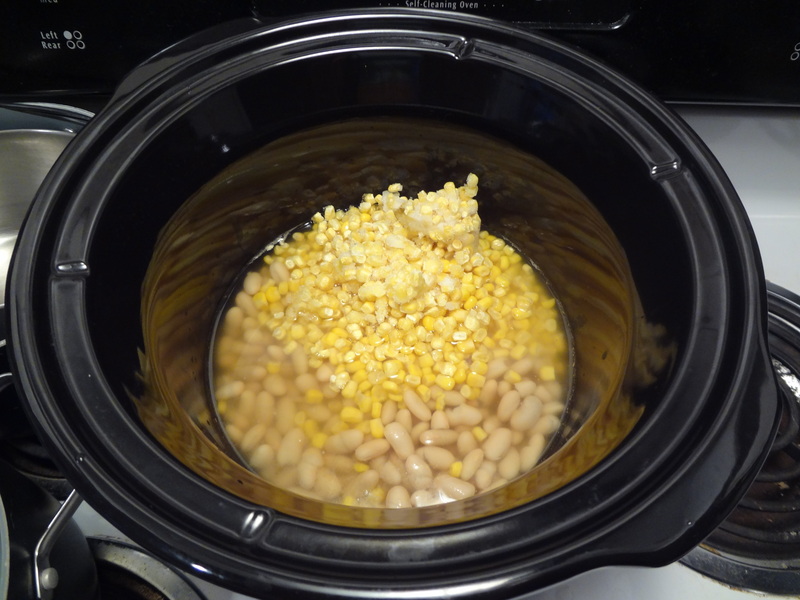 Cans of chicken broth, beans, corn, and chopped veggies are for the most part inexpensive. It’s the protein that can be pricey. However, if you wait for a sale, you’ll be able to make yourself a simple, inexpensive, delicious dinner. 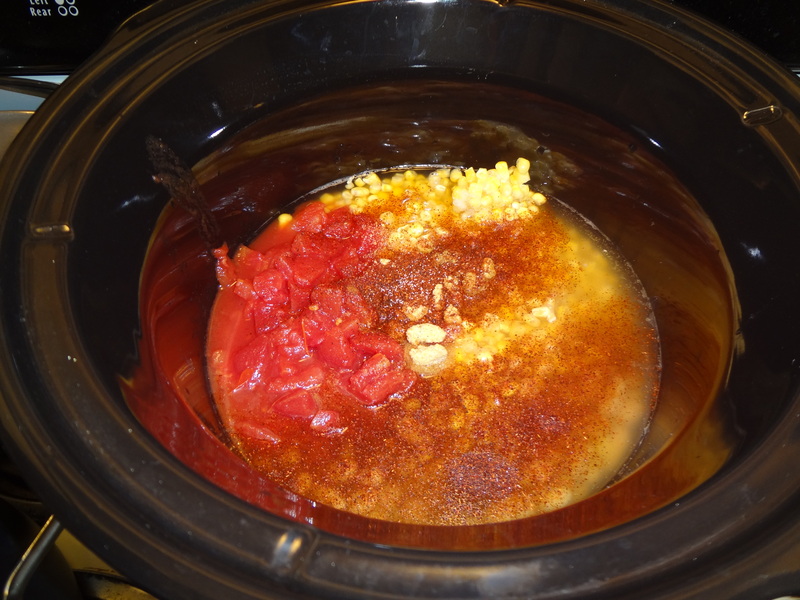 The ingredients for this crockpot dinner cost less than $13 in total, and this meal lasted me 3 lunches and 2 dinners…that is a budget-friendly dinner in my mind! 1. 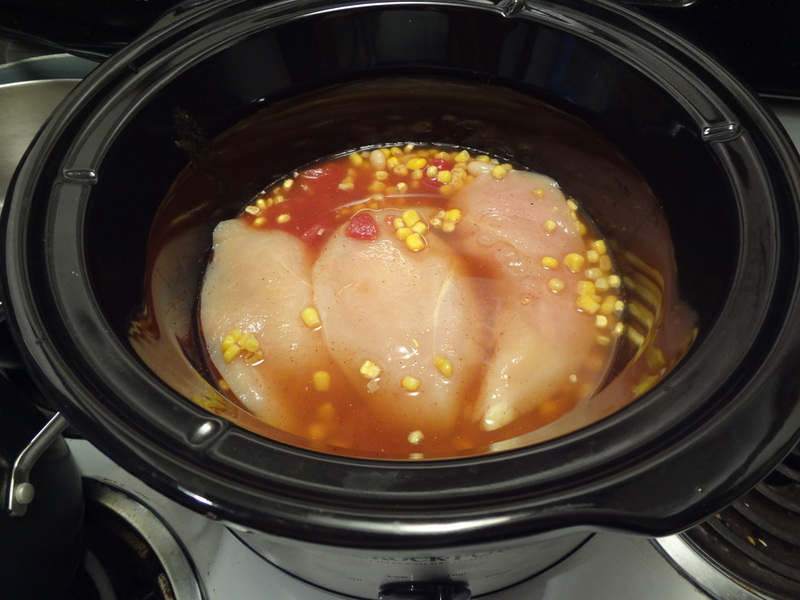 Combine all ingredients from chicken broth to salt in crock pot. Salt chicken breasts, lay on top of mixture and cook on low for 7 hours. 2. Remove chicken breasts and shred with two forks. 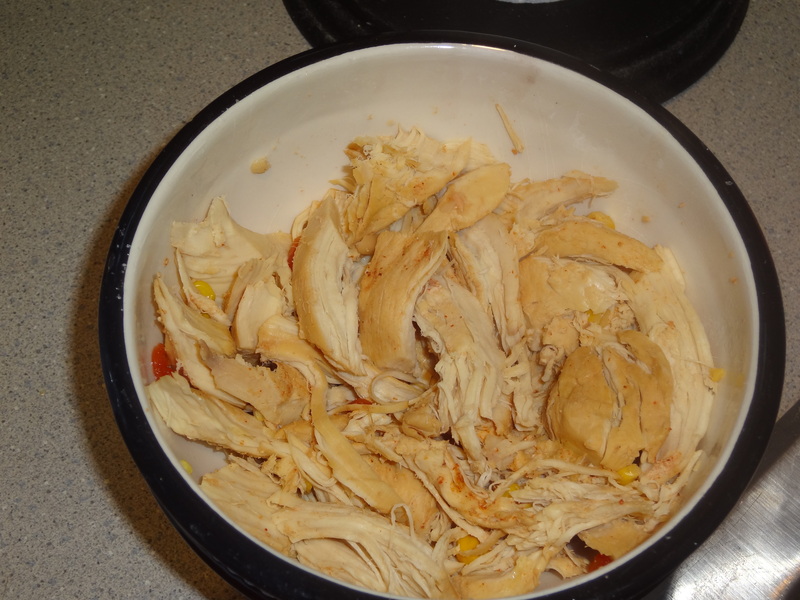 Return shredded chicken to crock pot, stir to combine, taste and adjust seasonings. 3. Taste the goodness straight from the pot…then serve over letttuce, cooked rice, or in tortillas. (I used whole-wheat tortillas). This meal came together in less than 25 minutes. I placed all the ingredients in the crockpot at 1:00, and by 7:00, dinner was ready to serve. 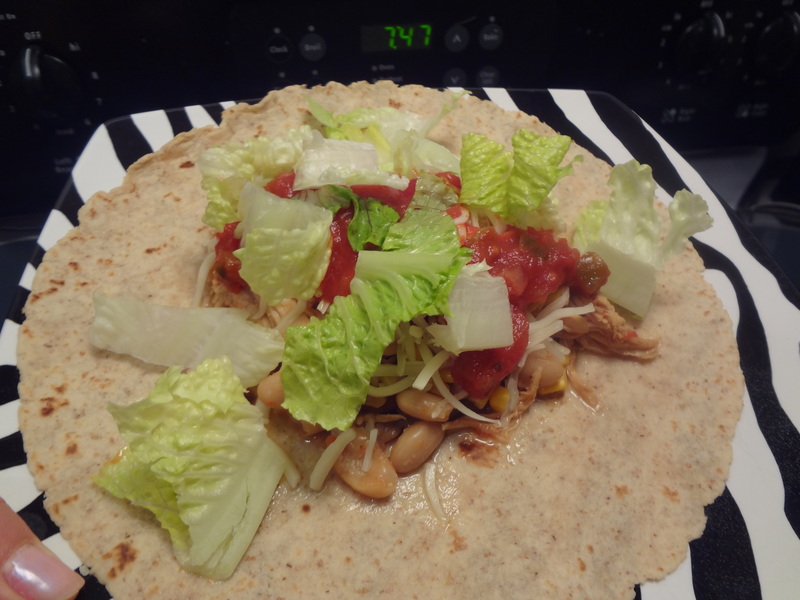 Plus, all I had to do was place my chicken chili on top of a whole-wheat tortilla, pile on the toppings, and dig in. SO GOOD. During the week, I brought the chili to work in a separate container and heated it up each day to top my salads. Make these this week…I promise, it will save you time in the kitchen and help you ease back into fall.. PROMISE! 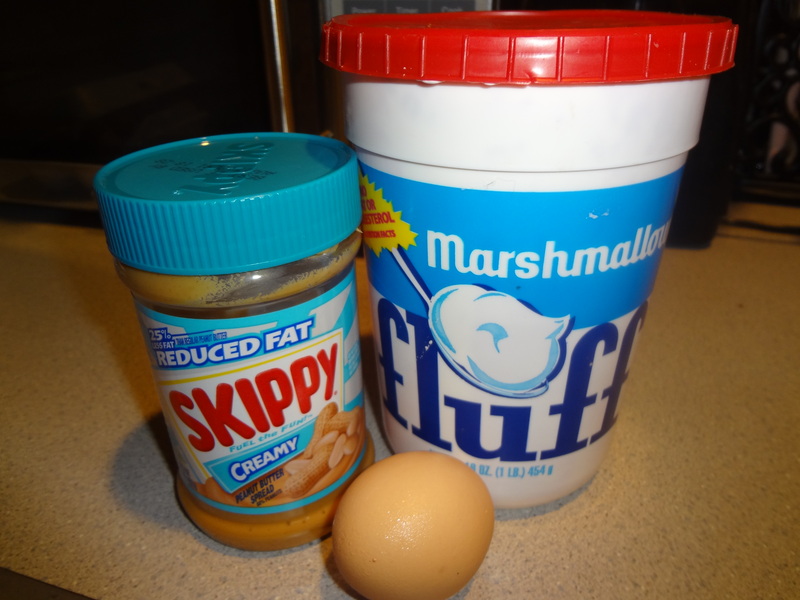 Peanut butter and fluff was my favorite sandwich combination as a child, and has stayed my favorite as an adult. I could eat it for breakfast, lunch, and dinner, on a tortilla, pita bread, or even a rice cake…and it still seems to taste good. 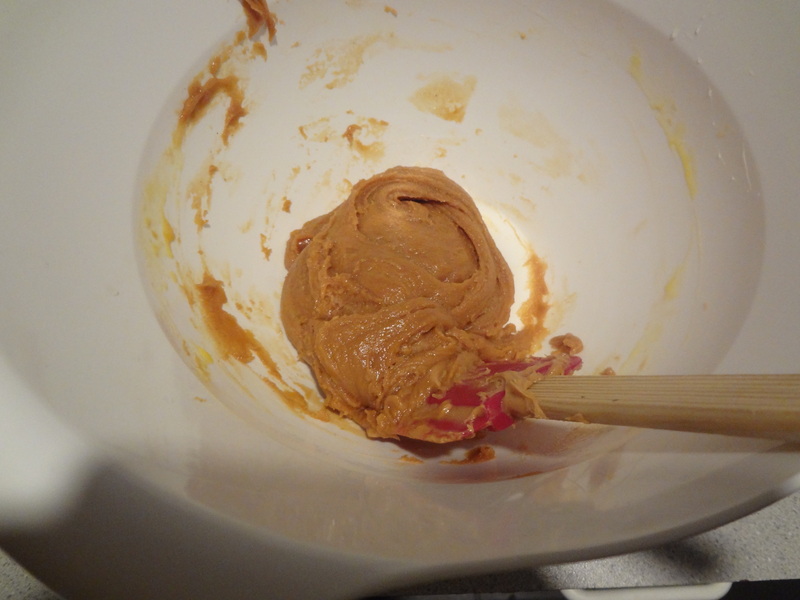 That being said, I was beyond excited to stumble upon a super simple dessert recipe that mimicked my favorite treat. But 3 ingredient-only cookies? I couldn’t believe it. Well folks, BELIEVE IT. Not only are these extremely simple, they’re also extremely delicious. It’s peanut butter and fluff, without the bread. Make these now!! These 3 are all you need! 2. 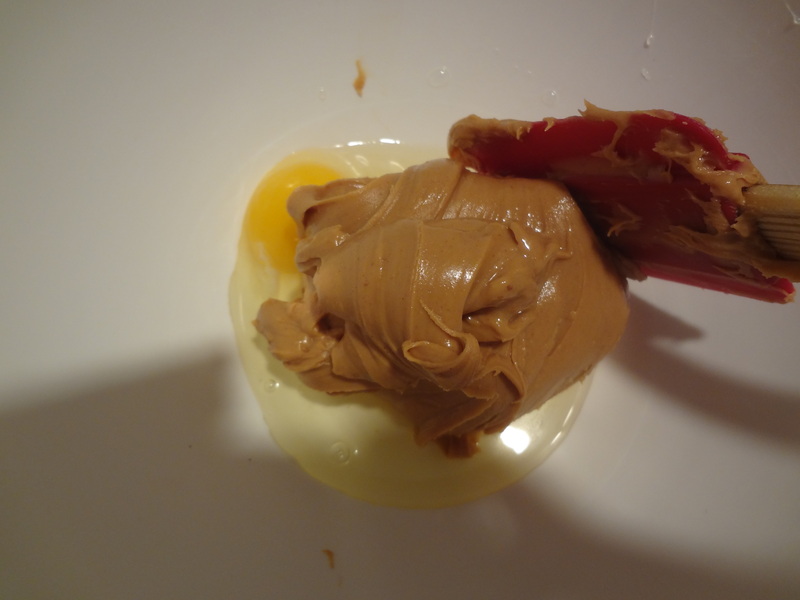 Mix 1 cup peanut butter and egg well. 3. Add fluff to mixture. 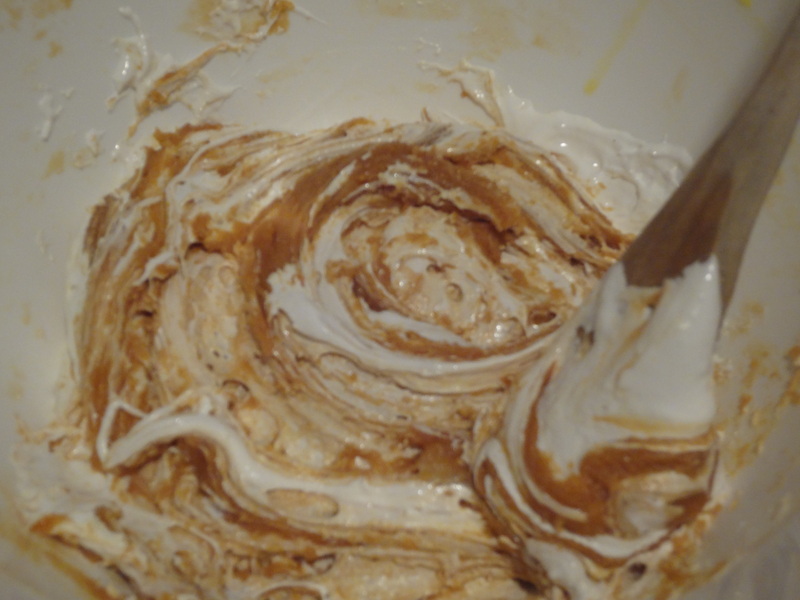 Swirl fluff into peanut butter/egg mixture just enough so that it’s swirled throughout. Avoid over-mixing. 4. 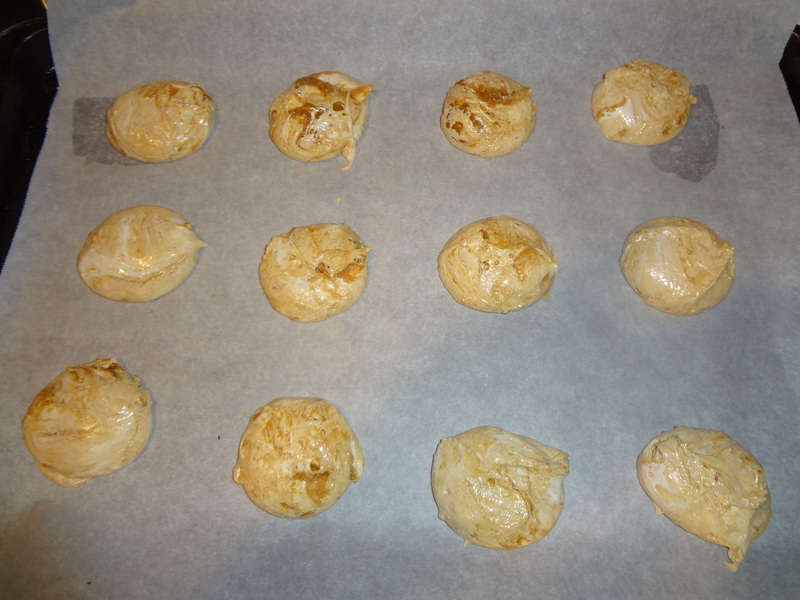 Line cookie sheets with parchment paper, and use a small scoop to create equal balls of dough on cookie sheet. 5. Bake for 12-14 minutes, until lightly browned. Cool on cooling rack, and eat one right away. Package the rest up and bring them to your starving co-workers! 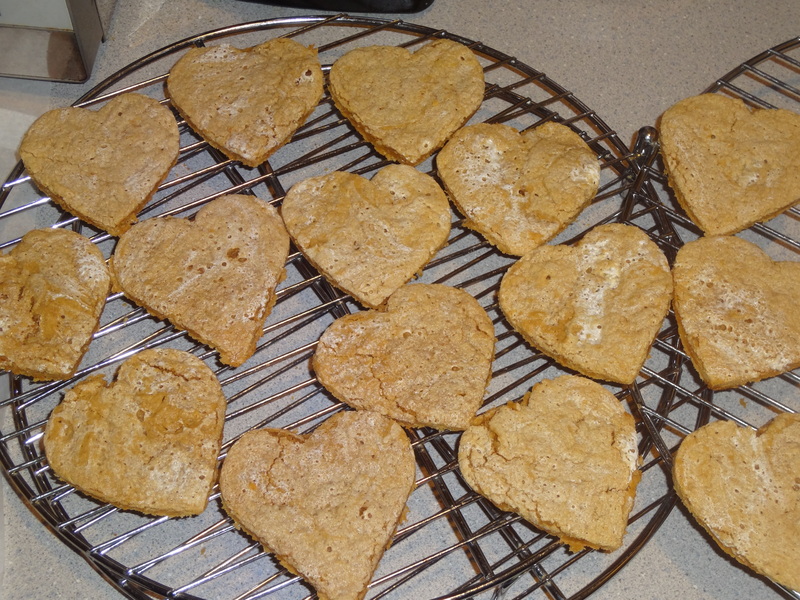 I made these into heart-shaped cookies as a “welcome back” treat for my co-worker Jess, who’s first day back from maternity leave is tomorrow. Hopefully, these cheer her up! 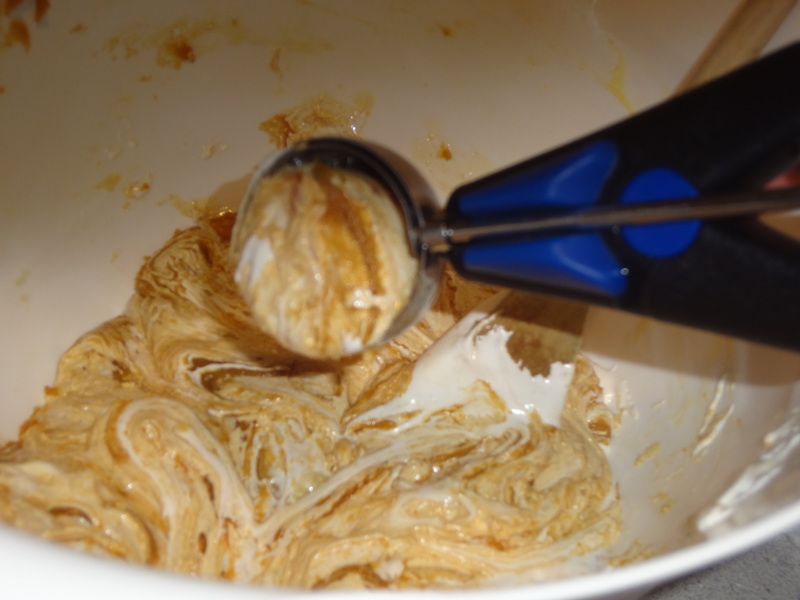 Your end result is a decadent peanut-butter cookie made in 1/2 the time with a tasty fluff-twist. 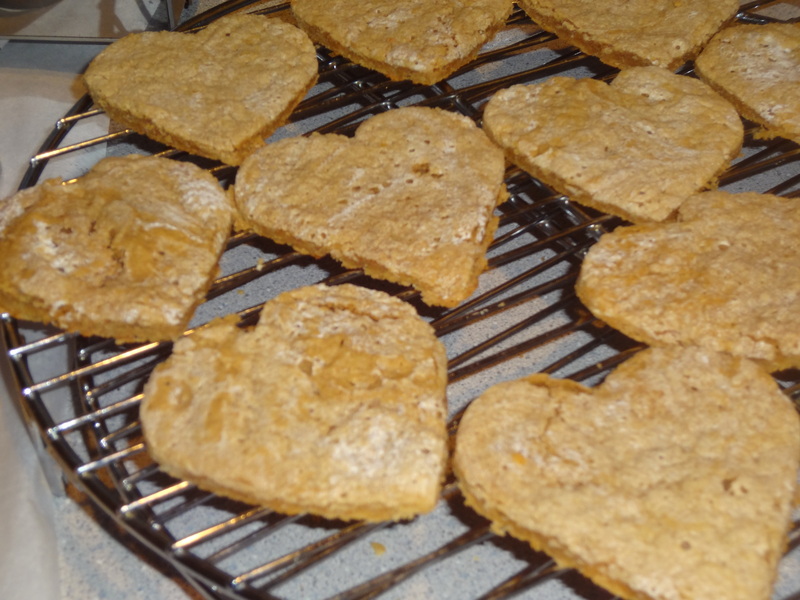 Plus, they’re tasty even without the excess butter, sugar, flour, and salt of a traditional cookie. Enjoy!